Samuel L. Jackson’s Elijah Price explains the extraordinary in a new clip from M. Night Shyamalan’s Glass. The promotional campaign for the sequel has been kicked into high gear with the release date just around the corner and it’s beginning to look like Shyamalan has another hit on his hands. Early box office predictions for the highly anticipated sequel have the movie tracking to bring in anywhere from $50 to $75 million, which is pretty big. In the latest clip from Glass, Elijah Price is talking to one of Kevin Wendell Crumb’s (James McAvoy) 23 distinct personalities named Patricia. Patricia seems to be doubting some of Price’s ideas. However, Samuel L. Jackson is very persuasive and it appears that he may have convinced Crumb to join forces by the end of the short clip. Price has this to say to Patricia. In addition to the hype for the sequel, there have been some theories floated that M. Night Shyamalan is connecting his trilogy to some of the director’s past hit movies. There are some distinct correlations between Split and The Sixth Sense when talking about dissociative identity disorder and the supernatural, leaving more than one fan to believe that the two movies take place in the same universe. However, there are also a lot of people who don’t agree with the latest theories that are out there. Whether they are connected or not, it’s still fun to think about. Plus, if anyone could pull off connecting all of these movies together, it’s M. Night Shyamalan. David Dunn (Bruce Willis) is going to have his work cut out for him with the arrival of Kevin Wendell Crumb. If the new Glass clip shows anything, it’s that Elijah Price and Crumb, along with his 23 personalities, are going to be joining forces. From previous promotional material, we’ve seen that the Beast will have a pretty significant role to play when fighting against Willis’ Dunn character, along with the innocent public. 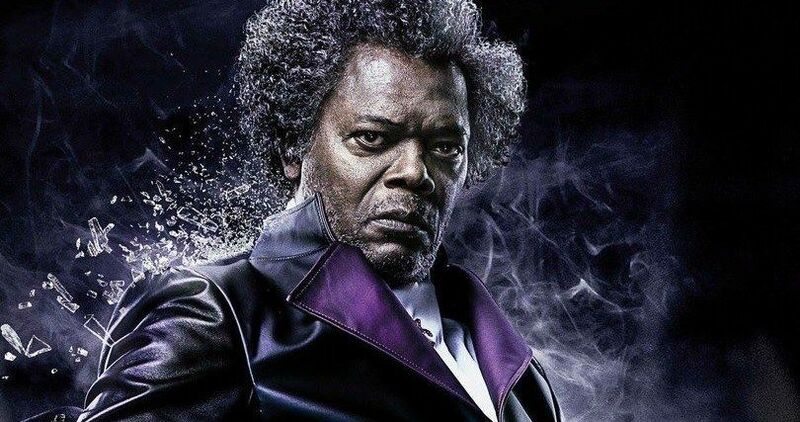 M. Night Shyamalan’s Glass hits theaters on January 18th. Fans have waited a long time to see Samuel L. Jackson and Bruce Willis team up with Shyamalan again and the wait is nearly over. A few lucky fans will be able to attend the special Shayamalanathon, which is put on by the Alamo Drafthouse and Universal Pictures, allowing early screenings on January 12th. You can watch the new clip from Glass over at Comic Book.